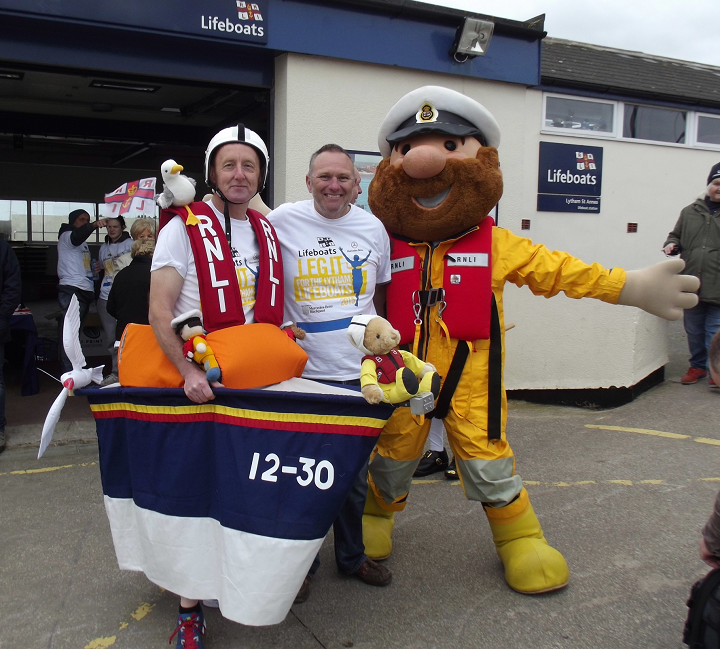 Last year’s highly successful seafront Fun run will again take place in 2016 between the Lytham St Annes Lifeboat Station’s two boathouses on Sunday 17th April. The leisurely run will take in views along the estuary and sea shore as it makes its way from the Station’s Inshore Lifeboat (ILB) Boathouse on Central Beach, Lytham along the promenade to the Station’s All-weather Lifeboat (ALB) Boathouse on South Promenade, St Annes where the runners and helpers can revitalise themselves at a café or can enjoy the BBQ. The distance of the run will be 3½ miles / 5.63 Km so it is not planned to be too taxing unless an individual runner wishes to set a time. Walkers are equally welcome to come for a pleasant Sunday stroll. It is hoped that all ages will participate, even down to little ones in push chairs. Fancy dress is optional but welcomed. The cost for adults is £10 and for children £5. Entries may be booked on line by clicking the following link Book Online (from February) or entry forms are available at the Station’s Souvenir shops attached to both boathouses. A special “Leg It” tee-shirt will be presented to each participant. Any Questions ? Please CLICK HERE to view and download our Frequently Asked Questions.